I have been silent on the outing of Ted Haggard, not because I have nothing to say, but I needed to know more of the story before writing anything. And I needed time for my heart to break. Now that most of the relevant data are in, I will do my usual thorough job of reviewing most of what has been written and produced on the matter so I can serve up a concise lengthy treatise. 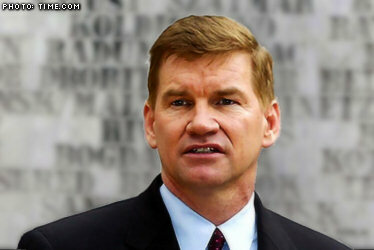 Isn’t it about time to get around to the Ted Haggard article? After watching the “Jesus Camp” documentary (more on that later) I would describe the clips of Haggard as more prophetic than distorting! In a way, prophesying what was going to happen to him. It reminded me of Reverend Dimmesdale in The Scarlet Letter who tried again and again to confess his sin from the pulpit, but couldn’t bring himself to do it. I saw the same dynamic in Haggard’s bizarre antics in front of the camera. That or a guilty conscience. Ted asked for forgiveness from God, his family, his congregation and Christians in general, but is still tightlipped when it comes to issuing an apology to the gay community for his hypocrisy, in action and word, that affected them directly (Amendment 43 he helped champion). Truthfully, it should have been the third apology he made after God and his family.